When you remodel, your home value will go up and it will make your home more sellable if you ever need to sell. Most people don’t want a home that has an old style kitchen, you’ll get a MUCH better deal by remodeling your Kitchen Now! If you’ve been cooking on those prehistoric burners or an oven that is from the dark ages, you’ll be thrilled with the great new appliances available today. Now you may be able to turn out a dinner that is edible instead of setting off the smoke detector each time that you cook. Tired of the way your kitchen looks? Perhaps it’s still decorated in the old oranges, greens and yellows that were so popular in the late 70s. Or perhaps, you have a different theme, color scheme in mind. Try something new! With a new design that makes the most of all the space in the kitchen, you’ll be able to add more space. You’ll get more space to move around and more storage as well. You’ll feel like someone gave you a new kitchen. This may renew your love of cooking and will make the kitchen a much better place for everyone in the family to enjoy. 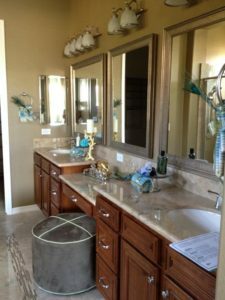 Why You Need a Bathroom Remodel Now! You end up with a better home, and big remodeling projects can make a huge difference in the amount that your home is worth. CAUTION: if you don’t do the project properly, or you don’t finish it, the value will actually go DOWN, so make sure that the bathroom remodel is done correctly so you can enjoy not only the new bathroom, but also a higher home value. You’ll be able to go into the bathroom and enjoy the way that it looks. You’ll want to spend time in your new jacuzzi tub, and in front of the mirrors getting dressed. Most bathrooms are too crowded, especially if you have a smaller bathroom. You can benefit from a better use of space in the bathroom. There are new furniture and fixture choices today that look great and take up less room. Remodeling gives you the ability to go beyond just function in the bathroom. You can turn it into a retreat that you can enjoy each day. With the right fixtures, décor, a great tub, and a Steam Shower, your bathroom can become the best place to relax and sooth away the stress of the day. 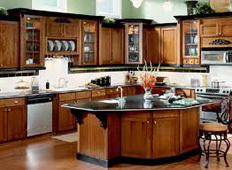 Call Northwest Valley Remodelers Now at 602-617-8326!